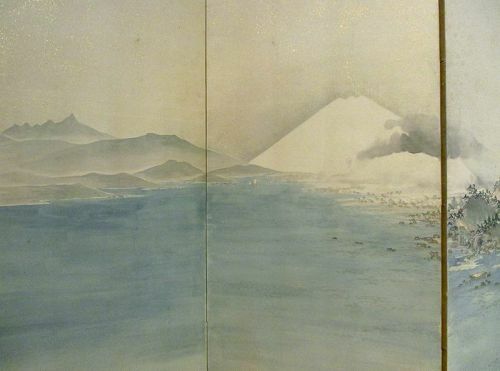 Full 6 panel Japanese screen painting of a sweeping landscape with mountains, low hills and a lake with Mt Fuji rising in the background. Around the edges of the lake are clustered tiny houses. Painted in light mineral colors and ink on paper with gold flecks.